World over, efforts are being made to provide an efficient and quality and affordable reproductive health care to all citizens. However, maternal related complications that include Obstetric fistula are still on the increase. 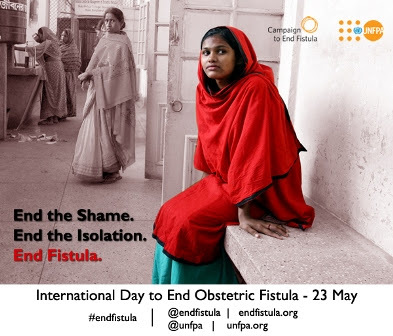 While obstetric fistula has been virtually eradicated in the developed world due to the availability of good medical care, including emergency obstetric facilities and cesarean section, this is regrettably not the case in developing countries. It is estimated that there may be at least two million women and young girls, living in poverty, who suffer from fistula. This immense number is very concerning. This problem is particularly prevalent in sub-Saharan Africa. However, since many of the affected women live in isolation and never seek help, actual prevalence figures may be much higher. 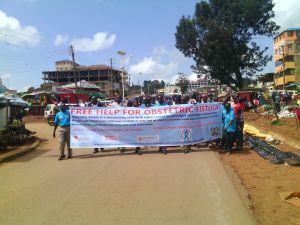 Obstetric fistula takes a heavy toll on women and society. Many experience adverse social and medical consequences. It is expected that this conference will examine challenges and opportunities that can be used to reduce obstetric fistula. In addition it will generate knowledge on how obstetric fistula can be prevented. Information generated will be used to develop and implement policies that will contribute towards reduction of the problem. The conference will target relevant Ministries such as Health, Education and devolution and Planning (National Council of Population and Development). It will also target relevant United Nations organizations such as UNFPA, WHO, UN-WOMEN, USAID, UNICEF, UNDP. Other target populations will include, Community Groups, Faith Based Organizations, Research Organizations, Universities, Non-Governmental Organizations, Community Based Organizations, Health Practitioners and Health Promotion Stakeholders.